Karen Ososki’s Refined Performance Horsemanship Program (RPH) helps riders of all disciplines and levels to achieve a deeper harmonious partnership with their horses. Karen’s paramount focus is to further develop the partnership between rider and horse while honoring both the rider’s and the horse’s minds, bodies, and spirits. The program encompasses the mental and physical development of both the rider and the horse. Riders gain more confidence and skill while improving their horse’s soundness of mind and body. I have developed an easy step-by-step training program where riders of all disciplines and levels who want to explore and improve their horsemanship and riding abilities feel welcome in a supporting atmosphere. Through this program riders are be able focus on rider and horse partnerships, equine and rider biomechanical theory, classical principles, and rider fitness and confidence. Riders gain more confidence and skill while improving their horse’s soundness of mind and body. 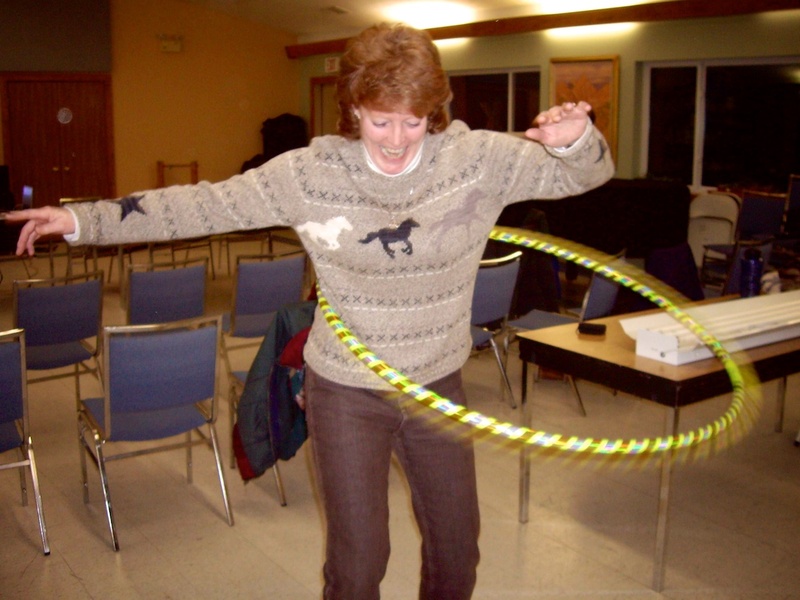 As an instructor, Karen shares her knowledge and expertise following the elements of holistic learning. Holistic learning is an approach to deepen-self awareness through encompassing the idea of behavioral and life changes, changes in decision making, and authentic presence. Holistic learning recognizes that human beings exist in a network of relationships and interdependent systems. The instructor creates a trustworthy and respectful learning environment. The lesson style is grounded in non-judgment and without outcome expectations so that the rider can share experiences and explore new ideas without fear. Minority opinions are respected and respectful listening is the behavior model that is followed. The setting is calm, inviting, and safe. Most of all it is full of joy. Oh yes, we have lots of fun!!!!! Working with horses has been the greatest gift I could ever receive. Every horse I have ridden has taught me something that profoundly changed my manner and ability not only with horses but also in my life as a whole. Karen strives to create a knowledgeable, positive, enthusiastic, and safe environment where riders can develop a closer partnership with their horses while improving their own and their horses’ mental and physical health and performance. 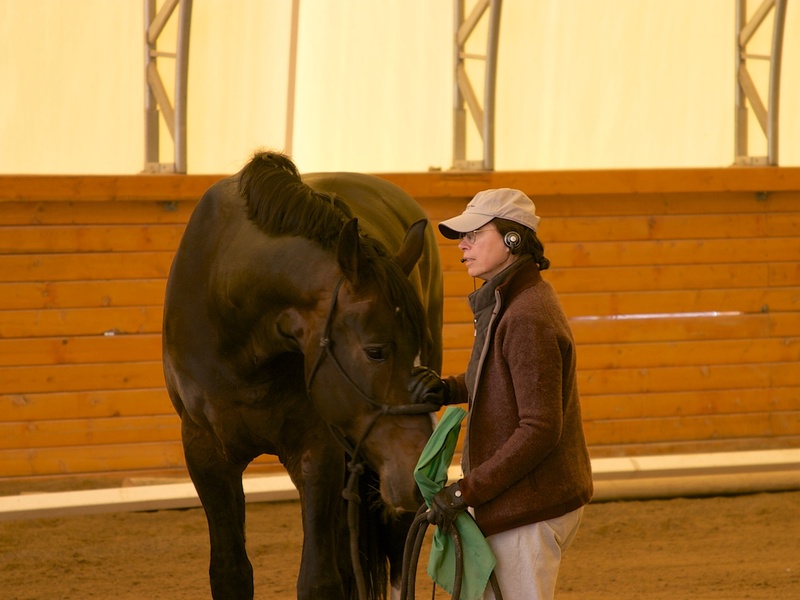 Karen’s teaching aims to help riders of all disciplines and levels to achieve a deeper harmonious partnership with their horses that honors the horse’s spirit. Refined Performance Horsemanship is built on the following concepts. Why are healthy leader relationships between ourselves and our horses so important? For humans to be safe around these half-ton plus active animals, we need to become their trusted leaders. When humans lead, the horse can relax into the secondary role of follower. To successfully become a horse’s leader and to connect to a horse’s spirit, we need to be courageous, compassionate, connected, aware, and mindful leaders – leaders that lead from our souls. Why is it essential for riders to understand how horses naturally move? Through understanding equine biomechanics and following classical training principles, your equine athlete will develop a healthy mental and physical well-being and will be able to perform for many years. 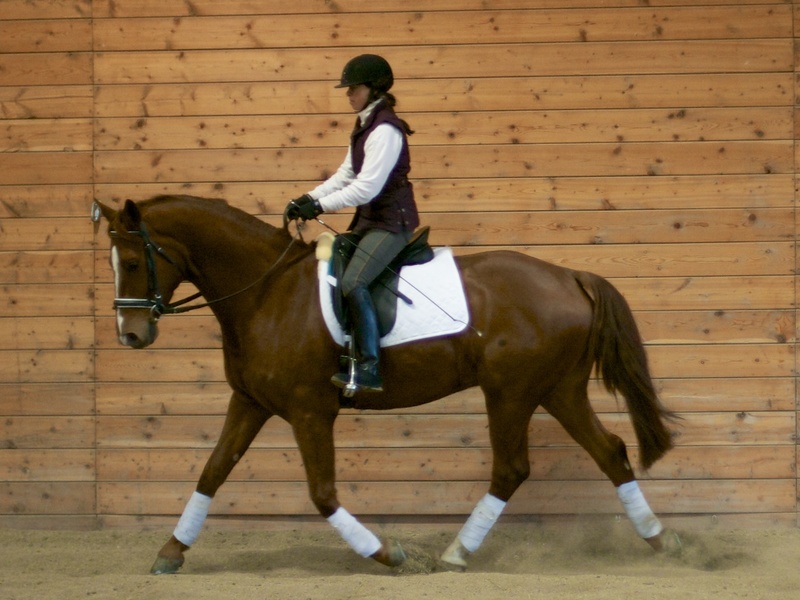 Why is the rider’s balanced seat imperative for the horse’s health and for the rider’s safety? The understanding of basic human anatomy and biomechanics helps the rider to develop a balanced seat. There are two common riding styles; one is to ride from strength and the other is ride from balance. When trying to ride from strength by gripping with the legs or holding on with to the reins, the rider becomes stiff and unstable in the saddle and is not able to connect to the horses’ movement. A stiff rider creates a stiff horse and thereby hinders the horse’s natural movement. An unstable rider has a greater chance of being hurt by falling off or by being bounced around. To connect to the horse’s movement, a rider needs to develop a balanced and supple seat. To ride with a balanced seat the rider needs to be fit. Why are liberty and groundwork beneficial? Liberty work can help build the bond between horse and human. Horses at liberty have the choice to seek the human or to withdraw. The human receives immediate feedback on how the horse is interpreting the humans intensions. Groundwork transforms a horse’s mind and body through the use of simple and logical work. The horse becomes quiet and willing, his body becomes balanced and through.